The leaves are turning beautiful, vibrant colors. 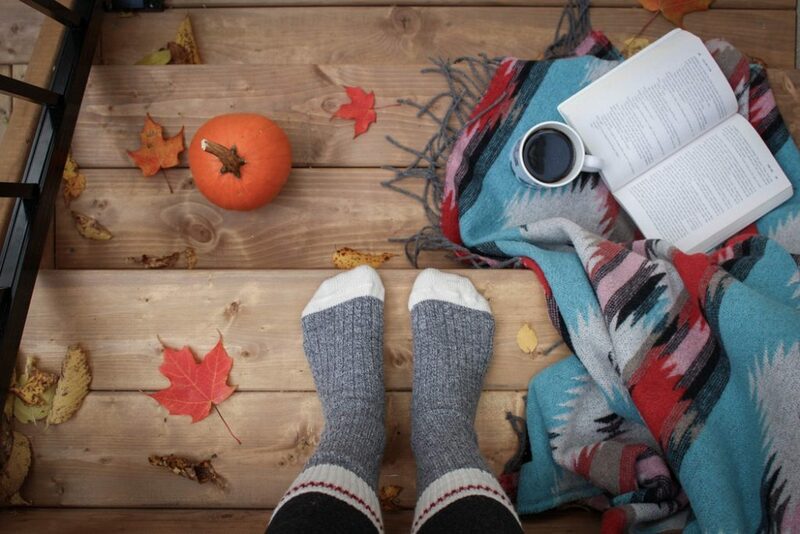 The air is becoming crisp and we are gearing up for a cozy winter. The downside, as you all know, is that this is the prime season for colds and flus. You may be asking yourself, other than the flu shot, what can I do to protect myself and my family from the nasty viruses that we are surrounded by during the season? As a Naturopathic Doctor, I can say there is PLENTY you can do! The most important piece is supporting your immune system. There are many things to consider in order to do this. One is that 80% of your immune system lives in your gut (your intestines). This means that the most important thing we can do to strengthen our immune system is to focus on a healthy gut. We must continue to eat a healthy diet, exercise, and manage stress to support our gastrointestinal system and overall immunity. There has been so much talk about probiotics and our intestinal microbiome. It has become more widely known that this microbiome, made up of beneficial bacteria and yeast, is necessary for our immune health. We can take probiotic supplements, and during the winter season I highly recommend it. However, it’s also important to know how to support the good bacteria we have and how to foster its growth. There are little things we can do in order to accomplish this. When grocery shopping, make sure that the meat and dairy products you purchase are not grown or given antibiotics in any form. Avoid GMO foods and processed foods. Simple carbohydrates (processed flour, sugar, etc) also can throw off the delicate balance of bacteria and yeast in our intestines. Continue to eat fermented foods such as sauerkraut, kombucha, yogurt, kimchi, kefir, etc to support this delicate balance. In the fall and winter, diet is crucial to the health of our immune system. I have always been a huge proponent of eating seasonally. Mother nature created a fall menu full of Antioxidants, Vitamin C, Vitamin A, Vitamin D and many other immune boosting nutrients to help us prevent and to battle these viral infections. In the fall, mushrooms and citrus fruits take center stage. There is a plethora of research showing the immune boosting properties of mushrooms. Mushrooms are also the only food source of Vitamin D3 found in nature. Citrus fruits, of course, contain a large amount of Vitamin C and bioflavonoids to help strengthen immunity. In the late fall and winter, there are squashes and root vegetables that contain most of our necessary nutrients for keeping us healthy through the seasons. The food that has probably received the most attention in the past few years regarding gut health and immunity is Bone Broth. What is bone broth you ask? It is what they were talking about when they said chicken soup is the best thing for a cold. Back in the day when chicken soup was made from scratch and did not come out of a can, the broth was very nutrient rich. Bone broth is just what it sounds like, it is a broth made from the bones of animals. It is one of the most healing foods for our gastrointestinal system. Naturopathic Physicians are experts in herbs, nutrients and foods that heal and strengthen the immune system. There are many herbs and nutrients that have been researched for supporting and strengthening the immune system. We already spoke about mushrooms. Another super immune boosting herb is Elderberry (Sambucus nigra). Elderberry has been extensively researched and at this point has been shown to protect against 27 different viruses. It is also very safe for kids and an excellent part of a daily preventative regimen. There are also many herbs and nutrients that treat the symptoms of viral infections, such as viral coughs and bronchitis. See your Naturopath to put together a preventative plan as well as a treatment plan when you are hit by a virus. Dr. Woods practices general primary care naturopathic medicine and specializes in Gastrointestinal disorders including IBS and IBD. Therapies used include Ayurvedic constitutional analysis, Nutrigenomic analysis, Western and Eastern herbs, and physical medicine (craniosacral therapy and trigger point injections). How do naturopathic doctors diagnose and treat Crohn’s disease and ulcerative colitis? Looking for a Wellness Program that works? Find out if FirstLine Therapy is right for you.